The 2014-15 Budget was handed down in Canberra on 13 May. The Budget contains a number of measures which will directly impact the vocational education and training sector. From 1 January 2015, the $476 million Industry Skills Fund will deliver targeted training and support services to nearly 200 000 participants over four years. The fund will assist small and medium sized businesses that are seeking to improve their productivity and competitiveness in the global market. To support apprentices in completing their training, the new Trade Support Loans programme will offer loans of up to $20 000 over the life of an apprenticeship. Loans will be repaid once apprentices are earning a sustainable income (minimum $53 345 in 2014-15). These loans will provide real support for apprentices, meeting the costs associated with undertaking an apprenticeship . * Workplace English Language and Literacy. All agreements and contracts already in place for the above programmes will be honoured. No new applications will be considered. The programmes marked with * will consider applications for funding that were received on or before 21 March 2014. The Head of Skills Division in the Department of Industry, Craig Robertson, participated in a webinar about how the 2014-15 Budget will impact the vocational education and training sector. Facilitated by Velg Training, the webinar addresses not only the implications of the budget but also the work the government is undertaking with regards to reform of the sector. The webinar is available for viewing on YouTube. In line with the Australian Government’s desire to streamline advisory and bureaucratic processes, the work and staff of the Australian Workforce and Productivity Agency (AWPA) and the National Advisory for Tertiary Education, Skills and Employment (NATESE) will be transferred to the Department of Industry. This transfer is expected to be complete by 1 July 2014. The Council of Australian Governments’ Industry and Skills Council has agreed to dissolve the National Skills Standards Committee (NSSC). The ongoing functions of the NSSC will be delegated to industry representatives and selected senior officials. These delegations will be the responsibility of the Industry and Skills Council Advisory Committee, which will commence operations in mid-2014. Interim arrangements have been established for both ongoing standards and policies, which includes the processes by which training packages are submitted for endorsement. Details of these arrangements are available on the NSSC’s website. The Australian Council for Private Education and Training (ACPET) is pleased to advise that the Minister for Industry, the Hon Ian Macfarlane MP, will give the headline address to the VET sector at the ACPET – ACCI [Australian Chamber of Commerce and Industry] National Skills Summit, to be held in Canberra on 25 June 2014. The programme for the Summit is still being developed, but Minister Macfarlane is expected to outline the government’s plans for deregulation / proportionate regulation of the VET sector. The most outstanding Australian Apprentice in the nation in 2013 shared his success story at National Manufacturing Week on 16 May. Patrick Janes, a 23-year-old boilermaker from Ballarat, Victoria, told the audience about how his farm upbringing naturally led to an Australian Apprenticeship in metal fabrication. 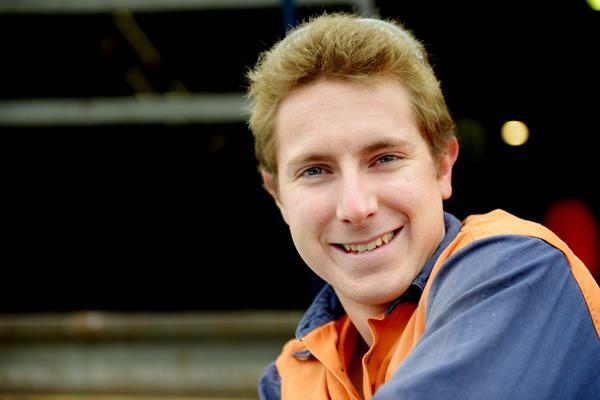 Patrick’s achievements during his Australian Apprenticeship were recognised when he was named Australian Apprentice of the Year at the 2013 Australian Training Awards in Perth. Patrick recently took over the business he was trained in and is an Australian Apprenticeships Ambassador for the Australian Government. “Having my boss offer to sell me the business he owned for 30 years was a great opportunity and gave me confidence to pursue my goals,” Patrick said. National Manufacturing Week was held at Sydney Showground, Sydney Olympic Park. Next year’s event will be held in Melbourne. For more information about Patrick’s success, read his profile here. Australia’s higher education and vocational education providers are encouraged to apply for the latest round of the Australian Government’s International Student Mobility Programs for 2015. The programmes collectively aim to fund around 5000 grants each year, supporting Australian students to undertake a six to 12 month overseas study experience as part of their course, and can include volunteer work, clinical placements and internships. Grants to support intensive Asian language training are available as part of the AsiaBound Grants program, which complements the Government’s $100 million New Colombo Plan. This Plan, currently being piloted, allows approximately 700 undergraduate students from across Australia to study abroad in the Indo-Pacific region. tourism students undertaking a research trip to China to understand Chinese travellers with an interest in visiting Australia and Chinese tourism operators interested in partnership arrangements. Applications for the 2015 round of Student Mobility Programs close on 16 June 2014. Further information is available online. The Australian Apprenticeships & Traineeships Information Service and Australian Apprenticeships Pathways websites have recently undergone some changes. The first group of changes centres on streamlining the information in the ‘Self Help’ menu item on the Australian Apprenticeships Pathways website. This area covers essential information about apprenticeships and traineeships along with some practical information about job hunting offered in the ‘Step by Step’ menu. The much-used practice aptitude quizzes are now available in the new ‘Industry Career Information & Quizzes’ area under the Career Resources menu of the AAPathways and AATInfo websites. The quizzes and associated industry-based career information are now categorised under 18 broad industry titles. The quiz documents have been changed with the industry careers information now published online, leaving just the Language, Literacy and Numeracy ‘question and answer’ section remaining as a downloadable PDF. This reduces the size of the document download, and allows for easier management of the many links provided in the industry careers area. This resource is a central point when searching for service providers in the Australian Apprenticeships field, such as Australian Apprenticeships Centres, group training organisations, registered training organisations and organisations working in the employment and career advice areas. This resource will help organisations active in Australian Apprenticeship delivery and the general public connect with greater ease and directness. Any service provider with an interest in promoting their Australian Apprenticeships related activities can register an account to upload their service and contact information. You can register an account online or contact the AAT Information Service on 1800 338 022 or by email . This Service is funded by the Australian Government Department of Industry. The Federal Department of Education will be running introductory VET FEE-HELP training for approved VET FEE-HELP providers in a number of locations around Australia in 2014. This training is suitable for new administrators of VET FEE-HELP, recently approved providers or existing providers that wish to refresh their knowledge. Training details, including an overview, dates, locations and information on how to register, are available on the Department of Education's website. Fanelle, an organisation set up to support female apprentices and tradeswomen, will be launched in Melbourne on 2 June by the Victorian Minister for Women’s Affairs, the Hon Heidi Victoria MLA. The brainchild of fourth year apprentice mechanic Fiona Lawrie (pictured, right), Fanelle is an organisation of women working in male-dominated trades, set up to support tradeswomen through their apprenticeships and early post-apprenticeship years. The launch will showcase the current achievements surrounding women working in male-dominated trades and Fanelle’s upcoming initiatives, and is an opportunity for organisations associated with Fanelle to show their support for tradeswomen. A partnership that gives Year 11 and 12 students a practical way to explore apprenticeship and traineeship career pathways has won the 2014 Group Training Australia Partnership Award. TORGAS and the Queensland Government’s Schools Industry Training Network were presented with the award at the Career Development Association of Australia National Conference in Adelaide. “For many young people, the issue of career choice can be a real dilemma, so providing early insights through a structured work experience programme plays a big part in good career decision making,” said Jim Barron, the Chief Executive of Group Training Australia, who presented the award. Runner-up in the Partnership Award, and ‘Highly Commended’ by the judges, was Kimberley Group Training with its Kimberley Education For Life programme. This school-based traineeship programme uniquely offers students the opportunity to participate in an Outdoor Education and Certificate II in Agriculture traineeship in addition to their chosen traineeship. 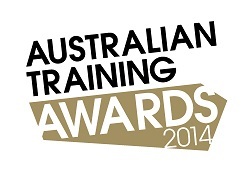 For information on the GTA Partnership Award, please email Leonie Stanfield at Group Training Australia. The Australian Council for Private Education and Training (ACPET) has negotiated a special three year TrainingVC package for ACPET members. For the usual TrainingVC establishment cost of $6000, ACPET members will also receive six extra benefits at no additional cost. More information is available online. The Splash Toolbox has been created to support the flexible delivery of the Certificate I in Water Sustainability. It provides a pathway into the water industry for, in particular, young people who are seeking an opportunity to gain industry experience while developing a set of valuable employability skills. You can read more about Splash online, and can order the Toolbox through eWorks’ online ordering system. 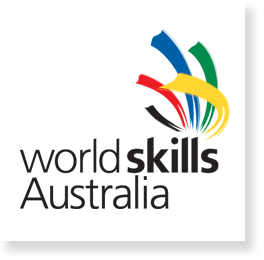 Service Skills Australia (SSA) is currently undertaking important consultation to ensure that the fitness and community recreation qualifications within the Sports, Fitness and Recreation training package are of high-quality and reflect the current workforce skills needs of the industry. Consultation for draft 1 of the Fitness and Community Recreation components of the SIS training package is closed and feedback will now be collated and analysed. Further targeted consultation will be untaken to validate the changes needed for draft 2, which is expected to be ready in July. For further information please visit SSA's website or email Elly Snyder. SSA has recently published the SIT Recommended Actions Report. This report provides a summary of the agreed continuous improvement activities for the SIT12 training package which will occur alongside the transition to the Standards for Training Packages. For further information and to view the report, please visit the SIT Tourism, Travel and Hospitality project page or email Rebecca Grooby. Upcoming industry pre-approved professional development opportunities. Workshops are being conducted in all state and territory capital cities during June and July 2014. Places are limited so book now to secure your seat. More information is available on the SkillsDMC Events page. If you have already registered for a session and find that one of the new dates is more suitable, please email Michelle Day to discuss transferring your registration. It is Australia’s first student paper for hairdressers and it already has the endorsement of celebrity stylist and Australian Apprenticeships Ambassador Renya Xydis. The Mane Edition released its first edition in April this year and it is already proving to be hot property at registered training organisations (RTOs) Australia-wide. The publication is purchased and provided by RTOs and is free for students. Renya, who has worked with celebrities including Cate Blanchett, Nicole Kidman and Hugh Jackman and is one of Australia’s most successful businesswomen, said the publication was a fantastic resource for hairdressing students. 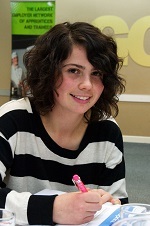 “A hairdressing paper for students – what a great initiative!” Renya said. Creative director and co-founder of The Mane Edition, David Mannah, said the objective of the publication was to celebrate the skills of the hairdressing industry while creating a new media platform for students. To subscribe your training provider to The Mane Edition, please send an email. For more information, you are invited to call 02 9590 4244. How did Sarah Lacey go from believing females typically only undertook apprenticeships or traineeships in beauty therapy and hairdressing to getting her hands dirty as a systems electrician? Read more about Sarah’s Australian Apprenticeship journey and how she doesn’t want to ever stop learning! Rebekah Drake has loved sport for as long as she can remember. 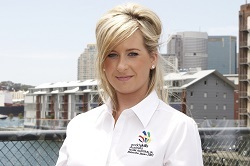 She undertook training that allows her to combine her love of sport with her passion for coaching. Read more about Rebekah’s Australian Apprenticeships journey and her involvement in community programmes. 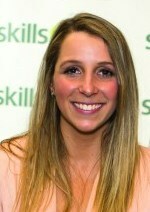 Holly Browne’s interest in skin care and beauty therapy has seen her achieve success and recognition on the national and international stage through her inclusion in the WorldSkills Skillaroos. Read more about Holly’s Australian Apprenticeships journey and how her flair for beauty therapy took her to Japan and then to London before she returned to Australia to teach others. The Community Services and Health Industry Skills Council (CS&HISC) is holding a series of consultation forums with industry as part of the Improve Training Quality in Aged Care project, funded by the Department of Social Services. All stakeholders associated with aged care, home and community care, allied health assistance, disability, leisure and health, mental health and general community services and management sectors are invited to attend. The Sydney forum was on 2 June. Details and registration are available on CS&HISC's website. Information sessions are provided regularly to help people working with Australian Apprenticeships to get the most out of the range of resources and information available on the websites. A session has been scheduled for Hobart, Tasmania. The AAT Information Service will also be presenting at the 2014 Skills Tasmania conference on 3 June. To get more information and to book for the upcoming information session please complete the online registration form. Feel free to call 1800 338 022 or email with any questions. Registrations are now open for this year’s National VET Research ‘No Frills’ conference in July. Highlights of the programme include keynote addresses by Steve Sargent (President and CEO of GE Australia and New Zealand, and chair of the B20 Human Capital Taskforce) and Mark Burford (Executive Director, Mitchell Institute for Health and Education Policy, Victoria University). Both speakers are uniquely positioned to share their insights on issues critical to the VET sector. Don’t miss this opportunity to discuss and share information, in an informal atmosphere which encourages lively exchanges and offers valuable networking opportunities. Co-hosted by the National Centre for Vocational Education Research (NCVER) and Holmesglen, the conference will be held at Hemisphere Conference Centre at Holmesglen’s Moorabbin campus. Approved HELP providers can now register their attendance online. Further information on the forum is available on the Noticeboard or by contacting the department via email. Registration closes COB Friday 13 June 2014. Details of the venue and ticketing will be available on the website from 1 July 2014. If you would like to provide feedback or supply an article for inclusion in the next edition, or join our list of subscribers, please email skillsatwork@industry.gov.au. The next edition will be published in July 2014. Submissions are due by 18 June 2014.